Our handpans are made-to-order and the production capacity of our workshop doesn't allow us to have some stock of immediatly available instruments. The "in stock" mention on the pages of the site permit you to place your online order but doesn't mean an immediate availability. The time frame between the validated order and the shipping of your spacedrum is mentionned in the detailled description of the product's page. This waiting period is an estimation, we cannot commit ourselves in a delivery's date. Our craftworking process doesn't allow us to be accurate on a date. We're doing our best to reduce the waiting period but our main concern is the final quality of our Spacedrums. We deal with the orders in a chronological way. We are frequently asked for a faster delivery but we have made the choice to make no exception and to be fair with all our customers, in an equality concern. 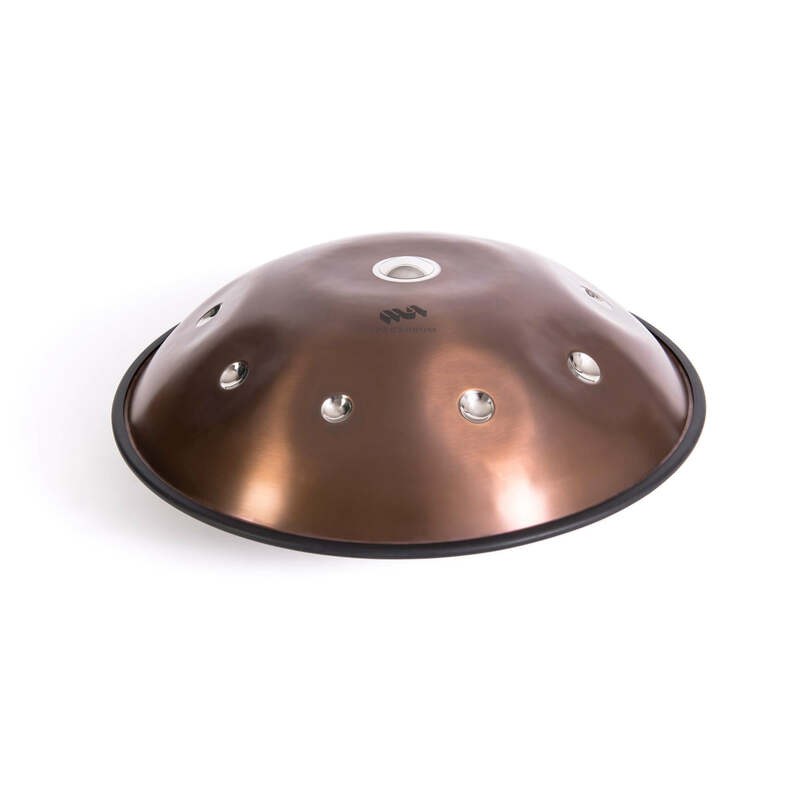 The making of a handpan can require several days, regarding the difficulties that we might come across. That's unforeseeable and can make our task more complicated. When your instrument is ready we ship it to the delivery adress that you mentionned at the time of your order. If this delivery adress has changed then you have to send us an email through the contact form. Once the package is shipped we sen you a tracking number, the shipping time is estimated by the carrier in function of the destination. Buying a steel tongue drum at Metal Sounds is fast and easy! We have a small buffer stock so the availability of Zenko is immediate. In case of out of stock 2 weeks maximum are necessary before shipping. Do not hesitate to contact us for any question regarding the purchase of a tongue drum and/or the availability of a model. All orders are processed in chronological order. Our priority as a manufacturer of steel tongue drums is to deliver high quality Zenko. When your instrument is ready we ship it to the delivery address you specified in your order. If your shipping address has changed, remember to notify us by email or via the contact form. A tracking number of the parcel is communicated to you and the delivery time, variable according to the destinations, remains an estimate given by the carrier. Our Steelpans are imported from Trinidad and Tobago and the availability depends on the shipments we get. Our online stock information is generally reliable but it’s better to contact us to check your model’s availability before your purchase. When an item is out of stock, we can’t commit ourselves in an arrival deadline because imports are always very long and uncertain. Feel free to contact us and ask for a specific model’s availability. Some models of steeldrum (such as the SIX BASS for example) are very bulky and according to your order a delivery on pallet will be necessary. When your musical instrument is ready we ship it to the delivery address you specified in your order. If your shipping address changes, it is your responsibility to notify us by e-mail or via the contact form. Depending on the chosen carrier we will give you a tracking number and a delivery time, depending on the destination. Please note that carriers give a time estimate. An appointment is sometimes possible for the easy delivery of your steeldrum.